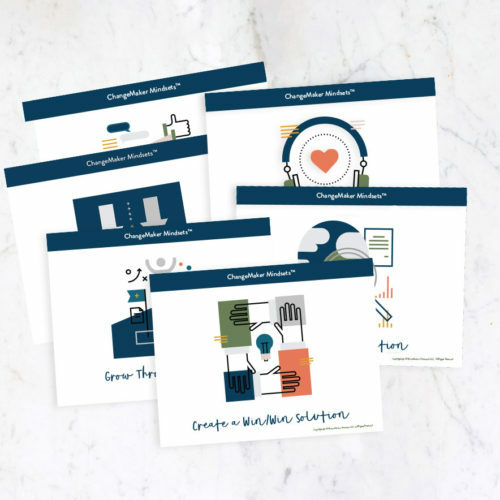 The ChangeMaker Ideation Strategies Handbook equips educators with strategies and activities to lower the barriers of ideation angst and with creativity warm-ups and interventions that help to keep the personal creative process moving for students. 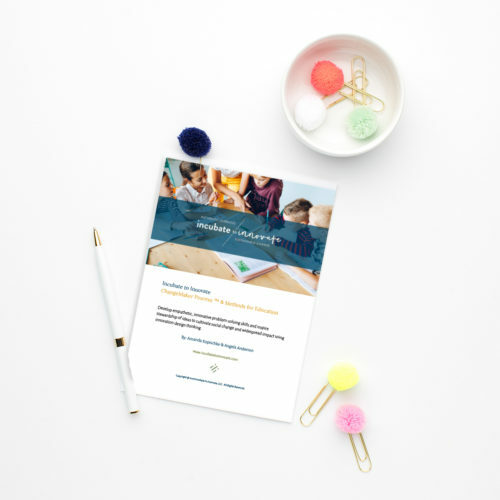 The handbook could also be used in professional development settings where the goal is to lower barriers of ideation angst for educators. 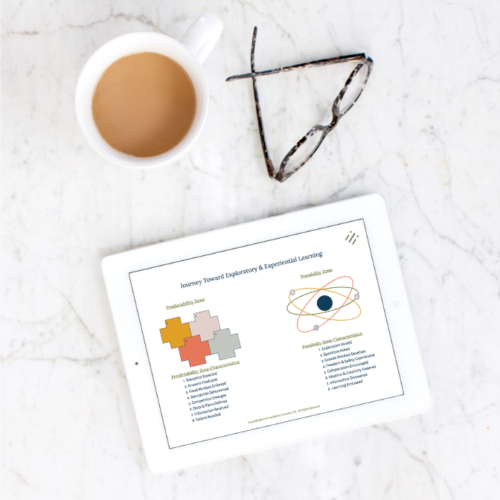 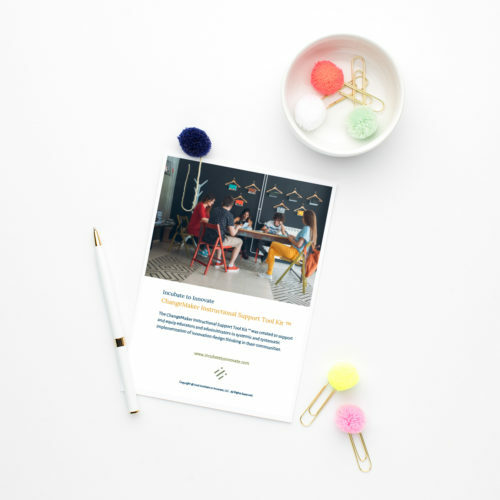 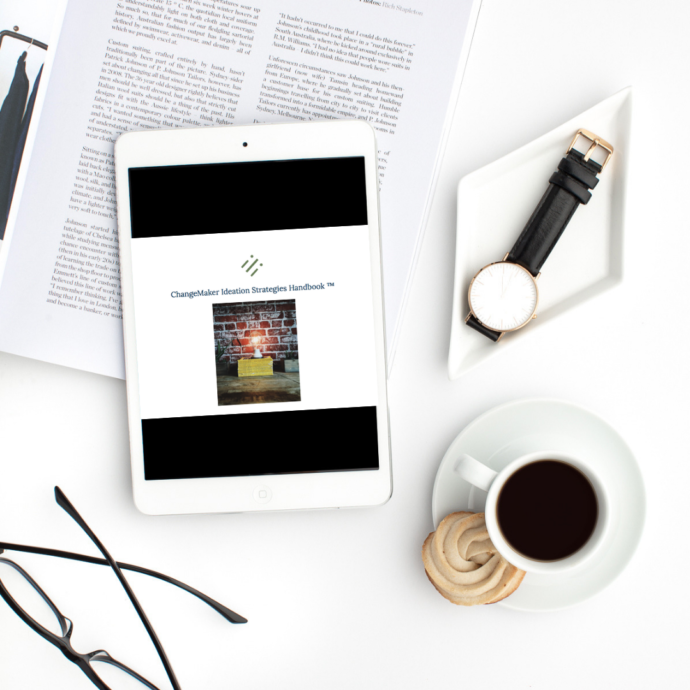 The ChangeMaker Ideation Strategies Handbook is a colorful, 22-page landscape PDF download.